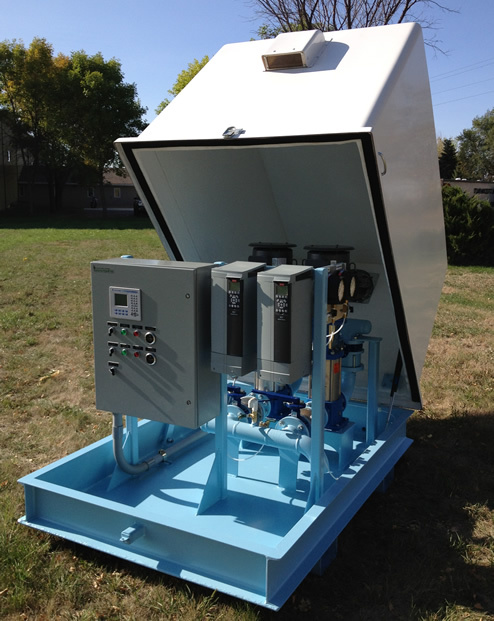 Dakota Pump’s product line has expanded over the years to include package pump systems for both the wastewater and clean water markets. 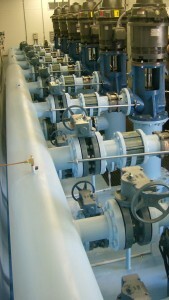 Although flooded suction pump stations remain the mainstay of DPI’s wastewater product line, the grade mounted vacuum prime pumping stations, because of low maintenance and operational efficiencies, is fast recovering the ground lost to the cost conscious submersible pump market.The pneumatic ejector and self-priming pump stations round out the wastewater product line. 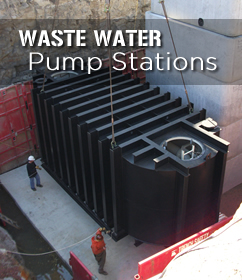 The addition of grade mounted pump stations, specialty control valve vaults and meter vaults has fully rounded out the water booster station line.